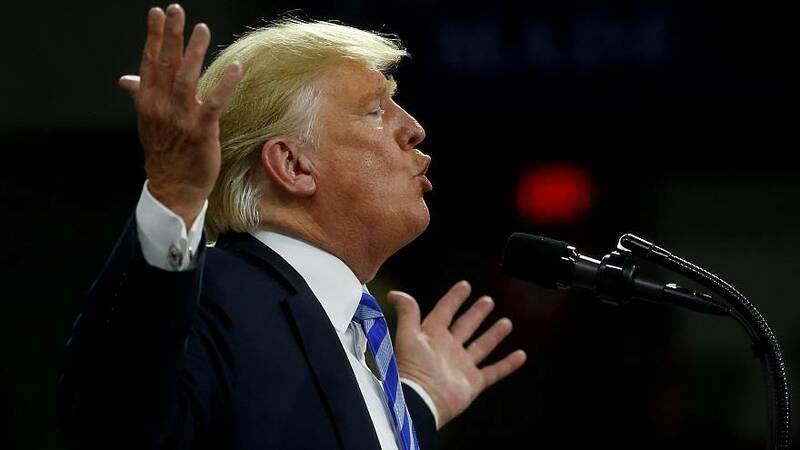 President Donald Trump tweeted Monday that the 2020 census would be "meaningless" unless it included a controversial citizenship question. "Can you believe that the Radical Left Democrats want to do our new and very important Census Report without the all important Citizenship Question," Trump wrote. "Report would be meaningless and a waste of the $Billions (ridiculous) that it costs to put together!" Trump's tweet comes one day before the House Oversight Committee is set to vote on whether to subpoena documents and testimony from the Trump administration related to the upcoming census. The Supreme Court is set to hold a hearing on the citizenship question on April 23, with a ruling expected by June. That scheduled hearing came after two federal judges ruled against the legality of the question. Critics of the question say it will lead many immigrants and their families not to participate in the census, which they say would make the survey inaccurate and — because census data is used to allocate billions in federal funding and to determine the makeup of Congress — harmful to people living in areas with substantial immigrant populations. Wilbur Ross, Trump's commerce secretary, has defended the question as necessary for reasons such as enforcing the Voting Rights Act.